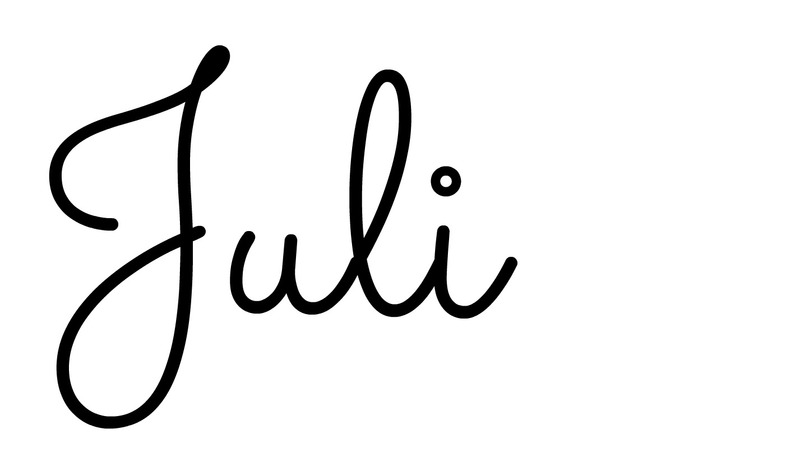 Guys, this is going to be the first recipe post in 2016. And against the public need of going on a detox or any kind of fad diet just because it’s January I am going to share the maybe richest and most decadent dessert I have ever posted. It’s full of fat which makes it ridiculously creamy and it also has a decent amount of sugar in it. But you will happily forget about it all because this Rich & Creamy Leftover Tiramisu is just the perfect post Christmas recipe to use up all those already slightly dry leftover cookies, gingerbread or stollen. Let’s talk about detoxing and fad diets for a second. In a nutshell: I tried them all and all I lost from it in the long run was my happiness. I mean there’s nothing wrong with incorporating healthy food like fruits and vegetables back in your diet after the holiday season. And there’s also nothing wrong with trying new things like for example green juices or smoothies. But I am a firm believer that cutting out entire food groups without any mediacal indication does more harm than good and is in the best case just not sustainable at all. You might lose some weight – which you most probably gain back anyway – but you also lose on the mental side! And let’s face the ugly truth, being healthy means to watch out for body and mind! So I vote for drinking your smoothies, eating your veggies AND having your desserts! 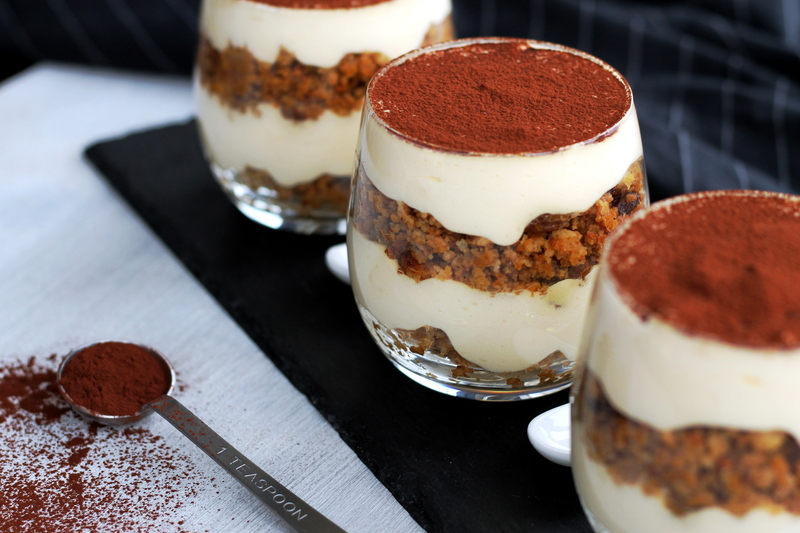 Let’s talk Tiramisu. It is a treat, no question. I have seen a few ‘lighter’ Tiramisu versions on the internet but to be honest when you look at the list of ingredients it’s either still pretty rich which means you could just go for the real deal anyway or it’s just a visual copy of the real deal that has nothing to do with Tiramisu at all. Greek Yoghurt in a Tiramisu? No thank you! Not for me! This recipe is double fabulous in my humble eyes. First it tastes amazing! It’s ridiculously creamy and sweet without being overpowering. And the crumbly layer adds variety in texture and taste which is really nice in my eyes. And second you can use any leftover baked good for the crumbly layers. Cookies, gingerbread, cake, muffins or even sweet bread like the Stollen I used. If you want to go the traditional route just use sponge finger but there’s really no limit to your imagination. Double the ingredients and arrange it in a casserole dish to serve a larger party but be prepared to get asked for the recipe - it's THAT good! Today is the 6th of January, a holiday in Bavaria (being a catholic federal state has so many advantages in terms of holidays) and also the day where we Germans traditionally get rid of the Christmas tree and the carolers go singing from house to house. So excuse me now as I have to clean out Christmas for this year, hoover tree needles and hide in the dark apartment when I hear a single tune in the staircase with a dessert in my hands! This right here -> “So I vote for drinking your smoothies, eating your veggies AND having your desserts!” I adore it. It says it all. Yes! And exactly how I want to live. Yummy! 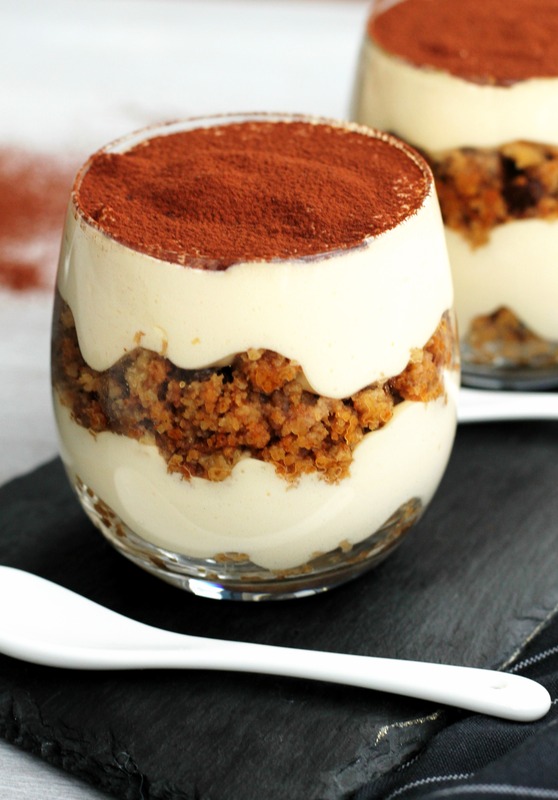 I love tiramisu and totally need this in my life. Thanks for sharing!